Harman SDIG Vice President, Rick Kreifeldt, will also present a paper on developments by the IEEE 802.1 Bridging Task Group on delivering uninterrupted audio and video over standards-based Ethernet. Bringing to fruition over three years of research and development as well as comprehensive participation and leadership in the IEEE AVB 802.1 Audio/Video Bridging (AVB) Task Group initiative, Harman Professional today announced it will demonstrate Harman HiQnet™ products streaming Ethernet AV in a technology preview at Pro Light & Sound in Frankfurt, Germany on April 1, 2009. The company will showcase several new Ethernet AV products including a dbx SC 32 Digital Matrix Processor, and a Crown CTs amplifier all connected with an Ethernet AV switch at Stand G42 in Hall 8. An Ethernet AV architectural wall-plate from BSS Audio will also be on display. The enhancements enabled by IEEE 802.1 standards require no changes to the Ethernet lower layers and are compatible with all the other functions of a standard Ethernet switch. As a result, the entire Ethernet ecosystem is available to developers—in particular, the various high speed physical layers (up to 100 gigabit/sec in current standards), security features (encryption and authorization), and advanced management (remote testing and configuration) features. Patented Harman HiQnet™ is the world's first connectivity and control protocol that integrates all product categories in the signal chain for professional audio systems of all types, size, and applications. Harman HiQnet no longer requires the user to manage multiple disparate operating systems or be responsible for programming individual signal processors, speaker controllers, wireless microphone systems, and mixing consoles. HiQnet was developed by engineers from across Harman’s Professional Division and is coordinated by the System Development and Integration Group (SDIG), a team of dedicated systems specialists based in Salt Lake City, Utah. One of the oldest and most prominent events in the Indian film industry, the Filmfare Awards brings out the biggest and brightest stars of Bollywood. Two such stars, actors Imran Khan and Ranbir Kapoor, hosted this year’s awards ceremony. For the main PA system at this year’s event, SOUND.COM provided a total of 16 VERTEC VT4887 compact line array elements, arranged in left-right hangs of eight each, along with three VT4880 arrayable subwoofers on each side of the richly-decorated stage set. Additionally, JBL VRX932LA compact constant-curvature loudspeakers were in use as flown onstage side-fill arrays. JBL VRX915M stage monitors were used for the opening act, Farhan Akthar, while JBL SRX712M monitors provided all the backstage sound. 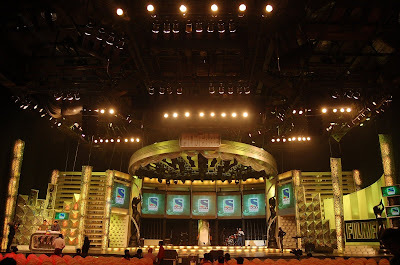 SOUND.COM also utilized a Soundcraft Vi6 digital mixing console at the front of house position, its first use at a major awards function in India. BSS Audio AR133 and AR204 signal processors and AKG C451 and 414 microphones rounded out the system. LAS VEGAS, Nevada – Continuing the successful relationship between Marcus Theatres® and Harman cinema products, the Chicago suburb of Orland Park, Illinois recently celebrated the opening of a new 70-foot-wide UltraScreen® at the Orland Park Cinema. The Orland Park UltraScreen theater seats 400 and is Marcus Theatres’ 12th UltraScreen to date. Supporting the picture displayed on the large screen at Orland Park is a state-of-the-art audio system, comprised of JBL ScreenArray® and AE Series loudspeakers and Crown Audio’s Digital B-Chain. Located behind the screen are three JBL ScreenArray 4632 3-way loudspeakers for screen channels, along with six 4642A subwoofers. Additionally, a total of eight AC2212/95 compact 2-way loudspeakers are mounted on the side walls (four per side), with an AM4315/95 3-way loudspeaker in each rear corner. The system is powered by Crown CTs amplifiers, loaded with DBC network digital audio modules. “The new UltraScreen at Orland Park not only exemplifies the outstanding performance of the Digital B-Chain technology, but also the ability of JBL loudspeakers across different product categories to work optimally together, in this case the ScreenArray and AE Series loudspeakers,” said Chuck Goodsell, Director of Cinema Marketing, JBL Professional. LAS VEGAS, Nevada – At ShoWest 2009, JBL Professional is featuring its Digital Surround Series loudspeakers. Three models in total—the 8320, the 8350 and the 8340A—provide an ideal surround sound solution for every digital application. The JBL 8320 compact surround loudspeaker boasts 150 Watts of power in a very compact molded enclosure. The 8320 low-cost system features internal Thermomaster® technology, which allows for unprecedented high-frequency power and an 8-inch long-throw woofer for extended low frequency. LAS VEGAS, Nevada – Providing moviegoers with the ultimate digital cinema visual and sound environment, Cinemark has outfitted its new XD³ auditorium with JBL custom-engineered ScreenArray® loudspeakers behind the massive 70 foot screen. The innovative auditorium, in West Plano, Texas also includes a custom designed surround system featuring powerful JBL Application Engineered speakers that provide the perfect coverage and a completely enveloping surround sound experience. The screen speakers and surround system are complimented by an array of JBL 18-inch subwoofers to provide thundering low-frequency effects. The new Crown I-Tech HD amplifiers, featuring the most advanced amplifier technology available, power the system. The new ScreenArray loudspeakers feature new high-frequency drivers, new Optimized Aperture waveguides and improved, patented crossover design. LAS VEGAS, Nevada – Continuing to provide cinema exhibition venues and post-production facilities with unprecedented audio performance and advanced technology, JBL is introducing the second generation of its award-winning ScreenArray® digital cinema loudspeakers. These “next generation” ScreenArray systems feature the new large-format 3-inch neodymium, titanium diaphragm, high-frequency compression driver for ultra high performance. This new high-frequency driver is coupled with the new patented high-frequency horn featuring Screen Spreading Compensation™ to correct for high-frequency dispersion through perforated screens. The new low-frequency sections feature the patented Differential Drive™, Direct Cooled™, 15-inch woofers for improved power handling and reduced distortion. All of the new ScreenArray series models have new Optimized Aperture waveguides for ultra low distortion and extremely uniform frequency response. Each system has improved, patented, crossover design using the most advanced computer modeling. The next generation of ScreenArray speakers consists of the 4732, 3732 and 3731 3-way systems (available in both triamplified and biamplified versions) and the 4722 and 3722 2-way speakers (available as both bi-amplified and fully passive systems). LAS VEGAS, Nevada – Building upon the success of its groundbreaking line of amplifiers dedicated for use in cinema sound, Crown Audio today introduced the DSi 6000. The newest addition to the DSi series, the DSI 6000 is designed to provide further support for the JBL line of cinema loudspeakers. “The DSI 6000 represents our commitment to provide the end users in this market with a continuously expanding variety of options to meet the needs any environment. The collaboration with JBL in the development of the new DSI 6000 is an example of the ability of Harman brands to share product development expertise, stated Andy Flint, Marketing Manager, for Crown. Additionally, the CP-X2010 features a long lamp life of 3,000 hours in Standard Mode and 5,000 hours in Eco Mode. The CP-X2010 also features Hitachi’s proprietary My Buttons functionality, allowing two buttons on the projector to be programmed to execute any projector command. The CP-X2010 also offers input Source Naming, allowing users to rename input sources to fit their needs. Closed Captioning functionality is also available with the CP-X2010. ELKHART, Indiana – Firehouse Productions, a leader in the sound reinforcement industry has taken notice of the new Crown I-Tech HD amplifier, announcing they will purchase 100 I-Tech 12000HD amplifiers for its tour sound projects. Firehouse has gained a reputation of excellence providing sound for some of the music’s biggest acts including Radiohead, Nine Inch Nails, David Bowie, Peter Gabriel, and Hannah Montana. They have also handled major television and live events including Live Earth, the MTV VMAs, and VH-1 Story Tellers. “Firehouse is a clear leader in the live sound industry. They have been a long time user of Crown and we have confidence I-Tech HD will be a major asset to their business for years to come. We value long-term relationships with industry leaders such as Firehouse and seeing them choose I-Tech HD is a validation of the efforts of our team to produce the best amplifier in the world,” stated Brian Divine, marketing director for tour sound at Crown. “We are proud to be a long time user of Crown because of the consistent support we have received from them over the years. Knowing they are 100 percent behind us was a key reason for us to make the move to I-Tech HD,” stated Mark Dittmar, lead sound and integration engineer for Firehouse Productions. “So far, working with this amplifier for just a short period of time, I must say the sound is stunning. The sound quality and power have really shocked us,” added Dittmar. SALT LAKE CITY, Utah – dbx® Professional Products, a Harman International Company (NYSE-HAR), is offering a free db10 Premium Direct Box with the purchase of a dbx DriveRack PX powered speaker optimizer. The promotion will run through May 31st, 2009 and is being offered through participating dbx retailers across the US. “We are extremely excited to offer this promotion to our customers through our network of great retail partners. Getting a product like the dB10 Direct Box free with a PX purchase is a great opportunity for end users not only to get better sound from their speakers but to also get better signal from their instruments. I expect many customers will take advantage of this offer,” stated Jay Woolley, marketing director, portable PA for dbx. The DriveRack PX is the world’s first and only loudspeaker control system specifically designed for powered speakers. The PX makes all powered speakers sound louder and clearer. The Industry exclusive features found in the PX, including the Set-Up Wizard, the Auto EQ® Wizard, the Auto Level Wizard, and an included library of speaker presets make it easy for anyone to get the most sound from any set of powered speakers. The dbx dB10 Direct Box is arguably the world’s best direct box for audio professionals with its extraordinary audio performance, superior electronic components, and incredibly rugged construction. 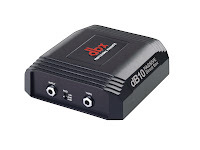 The dB10 is a small “bullet-proof” box that converts unbalanced line-level signal to balanced mic-level output and allows users to connect their guitar, bass, or keyboard directly to a sound mixer without losing tone due to impedance mismatches, long cables or cycle hum. It helps musicians be sure that the sound from their instrument reaches the mixing console balanced and noise-free. The dB10 has been designed – both inside and out – to sound great while taking the grueling abuse direct boxes take on stage and when used by audio professionals. The dbx dB10 Direct Box, MSRP of $129.95, is offered free to all US customers that purchase a DriveRack PX from an authorized dealer or retail outlet during the offer period. Customers are required to pay only the shipping cost ($7.95) of the free merchandise. All details about this offer, the downloadable mail-in coupon and the offer terms and conditions are available online at www.dbxpro.com/CurrentPromotions. ELKHART, Indiana – Canadian-based sound company PA Plus recently deployed Crown amplifiers in a unique live sound application for “Howie Do It,” an upcoming unscripted comedy television series, commissioned by NBC starring Howie Mandel. PA Plus provided the sound for the live studio audience at the Colosseum at the Caesars Windsor casino in Ontario, as well as the broadcast portion of the production. The Colosseum is a 5,000-seat venue that was utilized for the show, which was the largest ever studio audience for an NBC series show. Crown I-Tech amplifiers provided the power and processing for the system. All I-Tech amplifiers are equipped with comprehensive status, fault, and load monitoring via standard Ethernet networking and Harman Professional’s HiQnet™ connectivity and control protocol and System Architect™ interface. “System Architect easily allowed us to create and store a series of presets dedicated to the broadcast,” stated Mark Radu, systems engineer at PA Plus. The I-Tech amplifiers also feature advanced DSP processing which can be utilized for additional adjustment of line arrays. “We were contacted by Ian Dunbar, who was head of audio for this project, to provide a complete audio solution for both the live studio audience as well as the broadcast production,” stated Radu. Providing sound for a live television event was not an easy task and the setup presented many challenges. “The production team was building its own stage and set in front of the existing setup. This then required dedicated sound, lighting and video systems to support the television tapings,” stated Radu. With the venue already equipped with an in-house Harman system, PA Plus was able to choose components from the existing sound system to use in support of their sound integration. 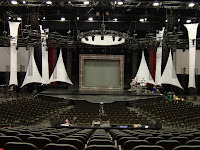 “As host to the production, The Colosseum at Caesars Windsor offered the use of any or all of their in house installation to expedite the setup. After discussing matters with the venue’s production manager, Todd Therrien, we came up with a plan that would best serve the television production yet still be non-disruptive to the regular operation of the venue,” Radu added. The I-Tech amplifiers powered 26 JBL VerTec VT4887 compact line array elements that covered the bleacher section of the audience. “Everybody involved was familiar with the product, the venue is a VerTec installation and we fully support VerTec within our own inventory,” added Radu. JBL SRX712M monitors provided audio support for the floor seating. “Outfitted with the same family of driver components as the VerTec series, the SRX712M’s would allow for a smooth transition between the floor seating and the bleacher sections,” stated Radu. The floor level seating was covered by nine JBL SRX712M’s and was augmented by six additional SRX712M’s utilized as front fills. NORTHRIDGE, California –V&P Sound Pvt. Ltd. deployed a powerful JBL VERTEC® line array system for the Rock Ethos 2009 festival, staged at the open-air Palace Grounds in Bangalore. The 2-day event, held March 14-15, featured many of India’s most popular rock and heavy metal bands, including Motherjane, Divine Connection, Bhayanak Maut, Myndsnare, Slain, and Infernal Wrath. Designed to promote original music while raising anti-piracy awareness, the event was produced by Buenos Entertainment, one of the most successful event management companies in India. At the front-of-house mix position, V&P Sound used a Soundcraft MH3 48-channel console, while a Soundcraft MH2 handled onstage monitor mixing. Additionally, dbx 1066 and BSS DPR 402/522 noisegates and compressors were in use. Microphones for the event included AKG’s WMS 4000 wireless system for vocals, along with AKG’s Drum Set II, which includes a D112 and four C418M’s, used to mic all drum kits on the show. Two AKG C451B’s served as drum kit overhead microphones. On Tina Turner’s current world tour, sound engineer Dave Natale deployed AKG C214 microphones as well as a WMS4500 wireless system to provide outstanding audio quality and versatility on stage. Natale initially tested the C214 mic on a sound check in AKG’s hometown of Vienna, Austria and immediately began using the mic on the current tour. 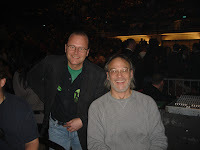 Dave Natale is no stranger to working with some of the world’s biggest stars, including The Rolling Stones, Lionel Richie, Liza Minelli, Joe Cocker, Van Halen as well as engineer for the 1998 Grammy Awards. On the current Tina Turner tour, Tina, Live in Concert, Europe and the US, Natale fell in love with the wide range of capabilities of the C214. The C214 is a cost effective alternative to the revolutionary C414 and is capable of handling the rigors of high-pressure sound, such as amplified guitars, with sensitivity perfect for voice and orchestral instruments as well. The C214 also boasts the highest dynamic range in its class. The WMS4500 is available in two new frequency bands: Band 7 (500-530 MHz) and Band 8 (570-600 MHz) that offer more options for multi-channel systems in today's crowded RF environment. The system’s components, the SR4500 receiver unit, the PT 4500 emitter, and the HT 4500 handheld microphone unit all offer new features and sleek new construction. CHULA VISTA, Calif., March 17, 2009 – Hitachi Software Engineering America, Ltd. today announced the appointment of Robert Gregg as Northeast Region Education and Training Consultant. In his new role, Mr. Gregg will serve as the primary liaison with educators and customers at various educational institutions throughout the Northeast. He will introduce Hitachi products and demonstrate how the StarBoard line can meet the educational and business needs across Connecticut, Delaware, Washington D.C., Massachusetts, Maryland, Maine, New Hampshire, New Jersey, New York, Pennsylvania, Rhode Island, Vermont and West Virginia. Mr. Gregg brings a wealth of experience in the educational sales market. Prior to joining Hitachi, he served as the national K-12 field representative manager for Turning Technologies LLC, which develops interactive response systems utilizing available software and hardware tools for educational environments. Additionally, Mr. Gregg previously served as a product manager for Star Tech Inc., a technology solutions company, specializing in technology sales for the K-12 and higher education markets. His primary responsibilities will include growing Hitachi’s customer base in the Northeast while leading training sessions and actively participating in sales-related events and trade shows. Mr. Gregg will also develop current and future relationships, and assist in training for dealers and end users. CHULA VISTA, Calif., March 16, 2009 – In a move that immediately positions the east coast district as a leader in educational technology, Lynbrook Public Schools in Lynbrook, New York, has upgraded classroom technology with over 100 Hitachi Software StarBoards.,The school utilizes Hitachi StarBoard FXDUO interactive whiteboards, purchased through Touchboards.com. For Lynbrook, the investment in educating their staff was just as important as the decision to purchase Hitachi StarBoards. The district currently utilizes a Just In Time (JIT) Staff Development program for training its teachers on how to incorporate the StarBoard into their curriculum. 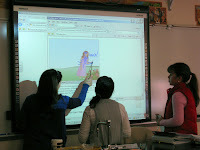 Teachers receive continuous real time training as they use the StarBoard to enhance their lessons utilizing this method. “It’s not enough to give a teacher a crash course on how to use the StarBoard and expect them to be able to fully integrate it into their lessons. We need to be there every step of the way to make sure a teacher is able to maximize the impact of the technology through a well developed lesson,” stated Karrie Ann Vitti, instructional technology staff developer for the Lynbrook School District. “We strongly believe in this method of supporting our teachers because they get the help they need when they need it,” added Mr. Nelson. Ms. Vitti is responsible for working with teachers across the district and making sure they are comfortable utilizing the StarBoard on an everyday basis. “I always provide teachers with two options when educating them on using the StarBoard. They can either work with me directly or train interactively along with their students. Those that elect class training have advanced much more quickly because the students are also learning, eventually supporting the teacher,” added Ms. Vitti. Lynbrook has also greatly benefited from the partnership between Hitachi and RM Education. Teachers are able to develop more enhanced lessons using the specific toolbars that correspond to the subject area they are teaching, utilizing the RM Easiteach software. “For a lesson that really integrates optimum technology, we encourage our teachers to utilize the RM Easiteach software because it gives them many more tools at their disposal,” stated Ms. Vitti. RM Easiteach software is now bundled as a free addition with every Hitachi StarBoard. The Hitachi StarBoard FXDUO is a multi-touch interactive whiteboard that can be operated with finger touch or a pen/stylus, and includes educational software to build and deliver interactive lessons with online and offline library of resources that have been aligned to US educational standards. NORTHRIDGE, California — In a demonstration of Harman Professional components providing rental companies and venues with the sonic performance and reliability coupled with the networked configuration and control of Harman HiQnet™, premier rental house, AVS Production Group, formerly known as Abe V Systems, has deployed for the last 2 years, a JBL VERTEC rig powered by Crown I-Tech amplifiers to New York City’s dynamic and progressive Terminal 5 live music venue. 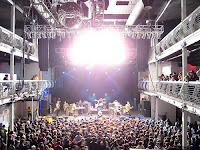 Terminal 5 is part of the successful Bowery Presents Production Company and family of venues that also includes the Bowery Ballroom, Mercury Lounge, Welmont Theater and Music Hall At Williamsburg. The system at Terminal 5 comprises two arrays of ten JBL VERTEC VT4888 Line Array elements powered by 24 Crown I-Tech 8000s and hung on either side of the stage augmented by self-powered JBL VRX Series loudspeakers arranged in delay clusters throughout the venue. The FOH system was designed and configured using Harman’s HiQnet System Architect. NORTHRIDGE, California – In a dramatic restoration of one of the most historic vaudeville theaters in the country, SIA Acoustics recently consulted on a unique 2-part acoustic renovation at the Rialto Theatre in Tucson, Arizona. The upgrade is part of the not-for-profit theater’s third year in operation as part of the City of Tucson’s Rio Nuevo project to help revitalize downtown Tucson. Originally built in 1920, the Rialto Theatre still boasts its original historic interior with an art deco motif, and was listed on the National Register of Historic Places in 2003. It was voted “Best Indoor Venue” for 2008 in the Best of Tucson awards. Recent and upcoming entertainment acts featured at the 1,800-seat facility represent a broad range of artists including Bruce Cockburn, the Jason Mraz Trio, GWAR, Eric Johnson, Candlebox, the Robert Cray Band and Big Bad Voodoo Daddy. In addition to being a renowned concert facility, the theatre also hosts dance, performing arts and film screening events. In keeping with its recent renovation and prestigious honors, the new audio system at the proscenium-stage venue features JBL VERTEC® DP Series powered line arrays. The $300,000 upgrade to the audio system includes a line array configuration of 16 JBL VERTEC VT4888DP-AN midsize powered line array elements equipped with JBL DrivePack® technology (eight per side). The system was configured using HiQnet™ System Architect™ software and is fully networked for remote control and monitoring. 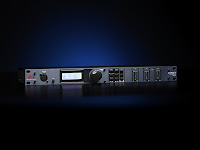 The system also features a dbx DriveRack 4800 for system EQ, signal routing and loudspeaker management. NORTHRIDGE, California – In anticipation of the 2010 Olympic Winter Games in Vancouver, the Richmond Olympic Oval officially opened on December 12 and 13 with a variety of speeches and musical performances. Audio rental system provider SW Audio & Visual supplied the live sound reinforcement system, which consisted of JBL VERTEC® line arrays. The grand opening was broadcast live on the CTV Network across British Columbia. 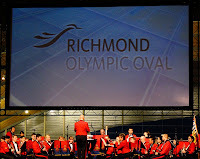 Located in the city of Richmond, adjacent to Vancouver, the Richmond Olympic Oval is a 512,000 square foot, multi-use facility, with capacity for 8,000 spectators and includes a 400-meter speed skating track. The Oval will be used at the 2010 Olympics for all the speed skating events. With an eye on providing a sound reinforcement system that would accommodate the needs of the live audience as well as those watching on television, SW Audio & Visual deployed a JBL VERTEC line array system. The system featured line arrays in a left-right configuration, ground-stacked to keep the audio system away from the main sightlines. 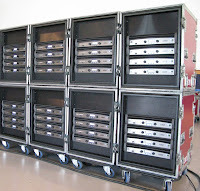 Each array contained five VERTEC VT4888DP midsize, powered line array elements with DrivePack™ technology. Complementing each array were two VT4880 full-size, arrayable subwoofers. La Jolla Playhouse selected a Soundcraft Vi6™ digital mixing for “Peter and the Starcatchers,” a new play presented by special arrangement with Disney Theatrical Productions in the Sheila and Hughes Potiker Theater at La Jolla Playhouse. The show is based on the best-selling book of the same name, written by Dave Barry and Ridley Pearson. The Soundcraft Vi6 digital console features a unique integration of Vistonics II technology that allows users to use the console quickly and intuitively. Sam Lerner, the show’s engineer says, “The Vistonics concept is great. Having all of your tools in front of you while you are mixing eliminates the need for paging and switching layers and lets me focus more on actually mixing.” Stahlhammer adds, “The intuitive nature of the interface is showcased in the fact that Sam had never used the console before this show and within a few days he was as comfortable with it as any other console he had used before. In theatrical applications such as “Peter and the Starcatchers,” the engineer needs the ability to be comfortable behind the desk and the Vi6 has been really easy to deal with.” Huppert was particularly impressed with the scene snapshot functions, “The snapshot functions allow for easy changes to particular parameters without worrying about collateral damage to other settings”. Soundcraft Studer Provides Outstanding Audio Support To The Kennedy Center In Washington D.C. The John F. Kennedy Center For The Performing Arts has recently upgraded its already superior audio system with the installation of Soundcraft and Studer digital mixing consoles into nine of its performance spaces. Equipping one of the worlds most prestigious and respected performing arts centers with new technologies is not an easy task, especially when considering the legacy system was of the highest standards, but three Soundcraft Vi6,™ one Soundcraft Vi4™ and a Studer® Vista 5 are up to the challenge. The Opera House holds nearly 2,300 guests and is recognized as the official home to the Washington National Opera and the annual Kennedy Center Honors. Also, the establishment conducts ballets, operas and a variety of Broadway road shows. The Terrace Theater, a much smaller venue containing 513 seats, is used for performances of chamber music, jazz and children’s productions. The Kennedy Center’s Production Operations Department selected three Soundcraft Vi6’s along with a Vi4 and a Studer Vista 5 to provide audio support to each of the respective halls in the Kennedy Center. Along with the Opera House and Terrace Theater, the Soundcraft Vi6 was also integrated into the Concert Hall, a space capable of holding over 2,400 visitors and home to the National Symphony Orchestra. Providing sound reinforcement for the smaller venues, such as the Eisenhower Theater, which hosts a wide range of smaller-scale operas, plays, musicals, and ballets is the Studer Vista 5. In an example of co-engineering between Crown and JBL that ultimately benefits the entire worldwide VerTec® system owners’ community, JBL Professional’s V4 DSP presets are now available for Crown’s I-Tech HD series amplifiers. “The V4 release for I-Tech HD is an important milestone that will provide immediate benefits to users due to improved sound quality and a 2dB increase in maximum SPL output thanks to new industry-standard setting LevelMAX™ limiting,” stated Paul Bauman, JBL’s Director of Tour Sound Product & Application Engineering. “LevelMAX was a joint development involving JBL, Crown, and BSS engineering and is a significant step forward in providing our users exactly what they need to get the most out of their systems - highly sophisticated loudspeaker protection that is sonically transparent and electrically accurate in terms of what is going on at the transducer level when it comes to peak, RMS, and thermal protection,” Bauman added. http://www.jblpro.com/products/tour/Vertec/V4download.html, and also come bundled with the just-released version 1.90.1 of Harman HiQnet™ System Architect Software. Serving around 15,000 students, Canterbury Christ University operates across five locations in Kent, England and offers a wide range of subjects, including music related courses. Recently, Soundcraft provided a live sound tutorial at the Broadstairs campus followed by an evening of live music with the new Si3 at FOH. There are approximately 120 students in the Commercial Music Program with another 30 currently in the first year of the University’s new Creative Music Technology and Music Production programs. As a follow-up to this session, the students will be invited to Soundcraft Studer’s UK headquarters in Potters Bar to familiarize themselves with the latest mixing technologies and get to know more about the design and manufacturing processes that go into making consoles like the Si and Vi Series. The House on the Rock Church, located in Nigeria’s capital Abuja, has recently upgraded its audio system with a Soundcraft MH3 mixing console. Nigerian installer ET Quake Multi-Media worked with Harman distributor PAXT, Mark Bailey of JBL and independent consultant Roland Hemming on the new sound installation. For the third time in NBA All-Star history, Phoenix, Arizona hosted the 58th annual All-Star game that featured a weekend of competition and events, including the 3-point and dunk contests as well as the Rookie Challenge. Two Guys Audio Services Inc. of Rainbow City, Alabama, through Volume Inc. provided FOH audio console support for the event and flawlessly mixed the weekend’s events on two Soundcraft Vi6™ digital consoles. Engineers Jerome Fox and Dave Zammit independently operated the desks and provided outstanding audio quality for the event. Fox utilized one Vi6 to drive the speaker systems while mixing the production elements, including video playback rolls, announcer microphones, television feeds and on-court mics, while Zammit mixed the live music elements and delivered the feed to Fox’s console via AES for distribution. JBL announced today that all five models in its Control® 40 Series of in-ceiling loudspeakers have earned a UL listing under UL1480 and UL2043. The increasingly vast JBL lineup of UL listed in-ceiling loudspeakers provides systems integrators with a variety of options for applications requiring UL listed products. We introduced the Control 40 Series last year as the systems integrator's go-to speaker line for a wide variety of everyday premium applications," said Rick Kamlet, Senior Director, Commercial Installed Sound, JBL Professional. ³Now having earned its UL listing, the Control 40 Series joins the Control 24/26/19, the Control Micros, Control 200 Series and the Control 300 Series as a broad lineup of UL listed in-ceiling loudspeaker choices for designers and installers." The Control Contractor 40 Series features JBL¹s proprietary Conical Radiation Boundary Integrator (RBI), adapted from JBL¹s groundbreaking VERTEC® series line array loudspeakers. This unique in-ceiling innovation combines a large-diameter, high-frequency waveguide and low-frequency projection apertures that work together to provide extremely consistent pattern control and coverage. The Control 47C/T provides extended bass performance with a wide 120 degrees of coverage (consistent over a wide bandwidth) that allows fewer speakers to cover a large space. The Control 47LP is a low-profile version for areas with shallow clearance above the ceiling, or where there are obstructions is some locations. The Control 47HC is a narrow coverage model for difficult acoustic spaces and high-ceiling areas. Rounding out the lineup are the Control 40CS/T, a subwoofer with built-in passive crossover, and the Control 42C, an ultra-compact, in-ceiling satellite loudspeaker. NORTHRIDGE, California – In a retrofit project that delivers high-impact, reliable audio to a historical parish, Hercules, California-based Pro Media/UltraSound recently upgraded the sound system at St. Joseph’s Church in Pinole, California with JBL Professional VP Series loudspeakers. The Church has been a permanent fixture in the Pinole neighborhood for more than a century, and a constituted parish in its own right since 1947. The parish’s congregation currently consists of more than 10,000 individuals. The church needed improvements in both sound quality and coverage while maintaining a simplistic system for the church staff to use on a regular basis. Pro Media/UltraSound designed a cost-effective, high-performance system with these needs in mind. The main PA system is designed for speech and live music, and includes a center cluster containing three JBL VP7212/64DP powered loudspeakers. To effectively cover the choir and opposite transept area, Pro Media/UltraSound installed two Control 29AV-WH-1 white surface-mount loudspeakers, while two AC2212/64 loudspeakers serve as delays in the rear of the worship space. The Control and AE Series loudspeakers are powered by Crown CTs 4200 amplifiers. Along with JBL and Crown components, the sound system is also supported by BSS Soundweb London, which allows for an auto mix system. The system was configured using Harman the HiQnet™ London Architect™ communications protocol. A BSS BLU 10 controller provides the head usher with an easier way to turn the system up, down, off and on. “The BSS London and BLU 10 gives the technology required to zone, time, and EQ the system, yet is elegantly simple for the church staff to operate,” said Leamy. SALT LAKE CITY, Utah — In what is considered to be the largest fixed sound installation project in the region, BSS Audio provided sound control in the brand new Atlantis Hotel in Dubai. The sound system covers all hotel restaurants, lobbies, corridors, visitor attractions, and retail outlets within the venue. For the installation, 31 Soundweb London BLU-80 units, 10 BLU-32s, and six BLU-16s were utilized. All of these Soundweb London units offers configurable I/O, configurable signal processing and CobraNet audio and has open architecture which is fully configurable through HiQnet™ London Architect. The system also features 17 BLU-10s, 12 BLU-3s, and seven BLU-6s. Additional Harman products that were utilized included Crown amplifiers. Thirty-five CTs 8200, eight CTs 4200 and 11 CTs 600 amplifiers were installed throughout the hotel. The amplifiers are networked and monitored on the same system as the Soundweb DSP system. Dave Wilts, senior associate at Shen Milsom & Wilke, an acoustic consulting firm, explained the decision to specify BSS products for the Atlantis Hotel. “A large resort such as the Atlantis typically has extensive AV requirements. We wanted to provide the hotel operations staff with the most "easily managed" AV systems as possible. The BSS line provided a reliable architecture we could leverage for resort-wide, meta-level control of the BGM (background music) systems. For our completely IP-based AV systems, the IP tools and products from BSS offered the best solution, and support, for the project."